Today’s photo of the week is of a very special young Wellington green gecko that has been spotted on Matiu Somes Island in Wellington Harbour. 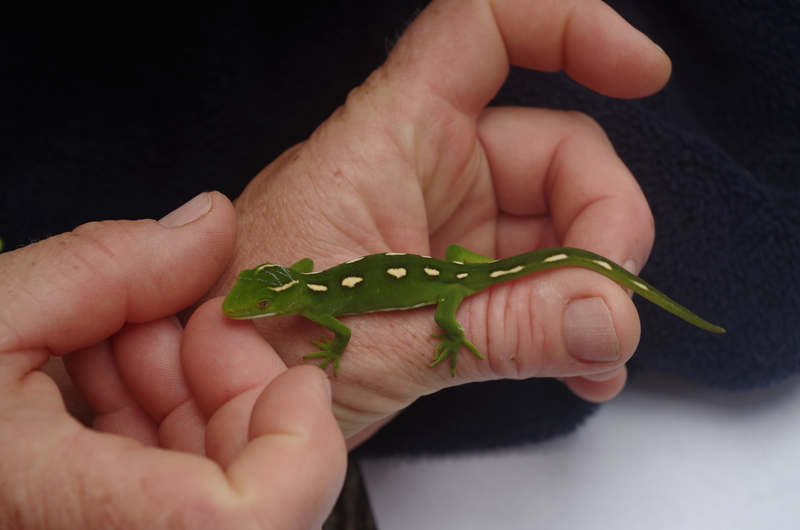 Between 2006 and 2013 more than 90 green geckos were re-introduced to Matiu Somes Island. All of the geckos released on the mammalian predator-free island were photographed and their unique markings recorded. The patterns on this young female gecko did not match any of those on record, so this sighting has confirmed that a breeding population has established on the island. Good news for the survival of this endemic reptile! This photo was taken by DOC’s Matiu Somes Island Ranger Jo Greenman.